Laundry detergents are specially formulated products that are created to remove dirt, stains and bad odour from the clothes and other fabric and textile items. 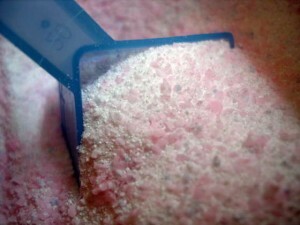 Laundry detergents contain different ingredients, and each and every one of these ingredients serves a special purpose. Usually the ingredients are listed on the packaging of the product, but their purpose is never explained. This is why we decided to shed some light on the matter and explain what every ingredient in the laundry detergent does. An ordinary laundry detergent package list most of these products as ingredients: surfactants, builders, enzymes, polymers, oxygen bleach, softeners, stabilizers, preservatives, solvents, fragrances, colourants, but there might be others, too. So what is the big secret of these ingredients? Builders are added to the laundry detergents so that they can enhance the cleaning efficiency of the detergent by inactivating water hardness minerals. Enzymes added to the laundry detergents because of their ability to break down stains and soils. They also improve the overall appearance and feel of the fabrics. Oxygen bleach is a bleach that may be used on any fabrics maintaining their whiteness and colours. Polymers. They are added to laundry detergents because their ability to capture and hold soils and grime, sending them down the drain, so that they won’t end up on the fabrics once again after they’ve been lifted from them. Preservatives. As the name might give them away, these substances are added to the laundry detergents with the sole purpose to protect the fabrics and textiles from the negative effect of the washing product: decay, discolouration, oxidation and bacterial attack. Surfactants. They are also known as cleaning agents. According to dry cleaners in Camden their purpose is to improve the wetting ability of the water. During the washing they loosen and remove soils, and then keep them trap in the washing solution until they are washed away. As for the other substances fragrances, colourants, and softeners the name is pretty indicative of the purpose they serve.